Here is the France Away Kit shop. Support the team at every game and shop for the France away shirts, shorts and socks here while supplies last. The France football kit is available to fit youth and adult sizes, there is a football kit for everyone at Soccer Box. Nike has manufactured the France football kits since 2011. In a shock departure from their long-standing agreement with Adidas, the French Football Association signed a lucrative deal with Nike. The famous Nike Swoosh will now adorn all of the team's home and away football shirts, kits and other team merchandise. The deal is the largest kit deal signed to date and makes the France football shirts the most expensive in the world. This staggering football kits deal is worth around £37m per year. Nike will manufacture the France away football kits until at least 2018, when the deal is due to expire. Nike has a fantastic record for designing innovative and interesting football kits; the latest France away football kit is no exception! Shop for the Latest Official France Away Football Kits at Soccer Box With Fast International Shipping! The France away strips have often been white in color. Recently Nike launched a light blue France away soccer strips, but reverted to the traditional white away kit design the following season. The away kit is worn for all matches played away from home. Away football kits do not receive the same press and popularity as the home kit however, the latest France away football kit is certainly worth consideration. Known for its design flair Nike has excelled in design of the latest France away soccer kit that is a must have football kit for all fans of the French national squad. Designed by Nike the France football kits incorporate the latest sports fabrics. Dri-fit technology is used throughout the home and away football kits and training kit range, keeping the wearer cool and comfortable whilst playing football. Nike, is an American sportswear company. In their determination to produce environmentally friendly products, the France football kits, including the away kit, are manufactured from recycled polyester. This polyester is produced by recycling plastic bottles, and is extremely environmentally friendly. Each set of France away shirt, shorts and socks uses no more that 13 plastic bottles. 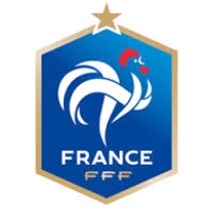 Shop now for your France football kits and show your team support. At Soccer Box we also stock the home football jerseys, shorts and socks, and the official France training kit as well as a selection of licensed accessories. Browse the store where you will also find shirts from hundreds of alternative teams from leagues around the world. Soccer Box is an online football retailer; we are supplied directly by the manufacturer guaranteeing that you are purchasing official football kits every time you shop with us. As you browse our store look out for special offers and discounts making our low prices, even better value. We offer a range of shipping options including express and international for your convenience. Order your France away kits and team merchandise here while stock is still available!